Read the blog post, “Gottschalk & A Medieval Predestination Controversy” for more information. Read more about Victor Genke and Gottschalk of Orbais at Victor Genke’s website Gottschalk of Orbais (gottschalk.inrebus.com). 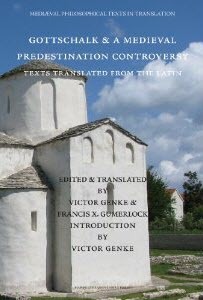 Victor GENKE & Francis X. GUMERLOCK, editors and translators, Gottschalk & A Medieval Predestination Controversy.